[email protected] or by telephone at +44 020-3289-2687 (manned 8am-6pm GMT+4). Planet of Bets is one of the unknown online bookmakers. The website was established back in 2008 and has been gaining popularity ever since. This bookie is operating under the jurisdiction of Costa Rica and is owned by PlanetOfBets Entertainment S.R.L.. This bookmaker is not in the top 10 of the most visited online betting websites over the world, but trustful on-line rankings show they are around the top 120000 most visited sites. Not bad for a seven years old bookie, compared to the giants like Bet365 and William Hill. Planet of Bets focuses on recreational players. The minimum bet limit is tiny, but the maximum is small as well, making high gains very unlikely. 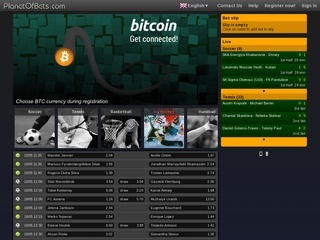 The company is known to be a financially stable enterprise with a good reputation among many professional gamblers. The website is very minimalistic, but sometimes the design can get a bit confusing. When I opened the page, I got greeted by a list of the upcoming football and tennis matches. However, I could not select them to view the various betting options. Instead, I had the ability only to bet on 1X2. The other options only unlock in the Live section of the website, which takes the right side of the page. There, things get interesting. The colors are dark as not to hurt players’ eyes, which is excellent, but the grey background is a bit depressing, especially when the website takes up only the middle of the screen. The Planet of Bets Sportsbook is still a bit scarce. There are only 11 sports to bet on, with football, tennis and basketball being some of them. Coverage of events is right and the odds are usually competitive. The live betting options are what make the site alive, though. There is an array of options to bet on, and I’m sure you will have fun with them, especially with the high odds they offer. Planet of Bets does not offer any Casino games or Poker tables. Those of you who are looking for these types of games are better off elsewhere. There are currently no plans for adding these games to the websites, but this might change in the future. The odds on Planet of Bets are pretty appealing. Payouts can go up to 100x of what you bet! The usual 1X2 is there, as well as a variety of handicap options. Correct score and number of goals options make up the other betting options. As said above, the bookmaker focuses on recreational players, so high rollers will not be happy there. The minimum bet is 0.05 EUR, and the maximum limit is 400 EUR. A great thing here is that there is no limit to the maximum winnings, so players are encouraged to bet on more than one match simultaneously. And, as confusing betting can sometimes be once you get the gist of it, it becomes a pleasant experience. As expected, this online betting website is also secured with an SSL encrypted connection. This technology makes it resistant to hacking and phishing attacks, which means your transactions, data and identity will be safe in the hands of Planet of Bets. The customer service is excellent, and the representatives are always fast and happy to help with any issue with your betting experience. They can be reached by phone and e-mail. The customer support department works Mon-Sun from 8 AM to 6 PM GMT+3. Expect your answers in this time frame. The website can be displayed in English, Russian, Spanish, and Ukrainian language. It also has a nifty outlook when used on mobile devices. Deposits and withdraws from Planet of Bets can be made through a lot of channels. Aside from the usual options like credit cards, players can use Bitcoin, Litecoin and Ethereum to add and receive money through their accounts. Not many online bookmakers offer this option yet, so if you are into the whole Bitcoin rush, you might like this! The bookie accepts various currencies that you can easily check in our table. Currently, Planet of Bets does not offer any sign-up or reload bonuses. It seems they are quite confident they can attract players without such offers. However, they do have an affiliate program. 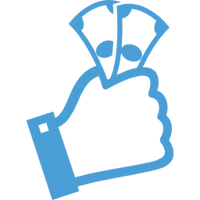 The bookie pays out 25% of the profits of people you have redirected to the platform. You put a banner or affiliate link on your web page, and the system tracks the players you have sent there and automatically transfers a part of their winnings to you. This action happens on the 1st day of every month. This option opens up some superb possibilities for people who sport a betting blog or website and get a lot of visitors. If you are one of those people – don’t miss your chance! Make use of this affiliate program and get the money flowing into your account.